Thank you to My Green Mattress for sponsoring this post. All thoughts and opinions are my own, and thank you to my readers for supporting the brands that make this blog possible! We're in full blown hurricane prep over here folks! So sharing some of Rowan's big boy bedroom today is a welcome distraction from the unpredictable hurricane tracking and craziness at the grocery store! 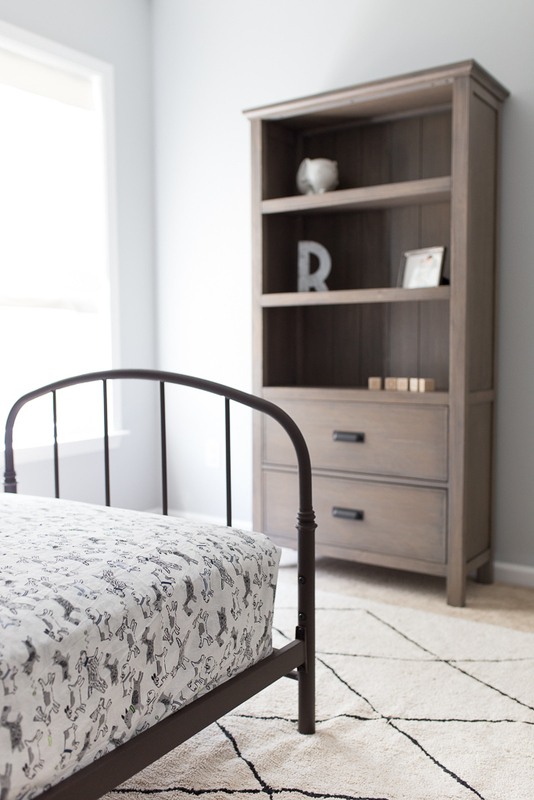 I fully admit I'm having all the feels with Rowan moving into his big boy bedroom soon. With just under 3 months until my due date, all of the nesting vibes are kicking in and so has the anxiety that my toddler bed-loving child will refuse to give up his nursery for his little brother. R is such a Type-A kid (I'm totally guilty of passing that gene on) and really loves his routine, so I've been trying really hard to make his big boy room feel special and comfortable for him to ease the transition. While Rowan hasn't moved to sleeping in the room yet (still waiting on his dresser and some decor details! ), so far he's showing a ton of interest and I'm pretty sure his week was made when we finally brought in his mattress. I'm fairly certain I'm going to live to regret allowing him to jump like that... but today I wanted to share some of the ways we've gotten Rowan excited about this transition! When I was planning Rowan's big boy room, one of the biggest unknowns for me was what type of mattress to get. Our criteria consisted of a twin bed in case he needs to give up his room to visitors and, because we want said visitors to come back again some day, I knew it had to be comfortable! 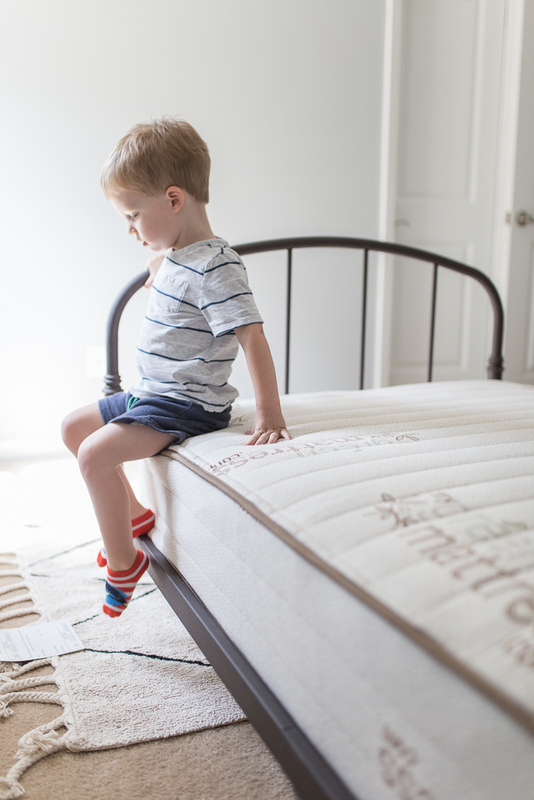 I also wanted to find something that was free from all of the chemicals that a typical mattress is made with since it would be my toddler's head that would be sleeping on this bed each night. 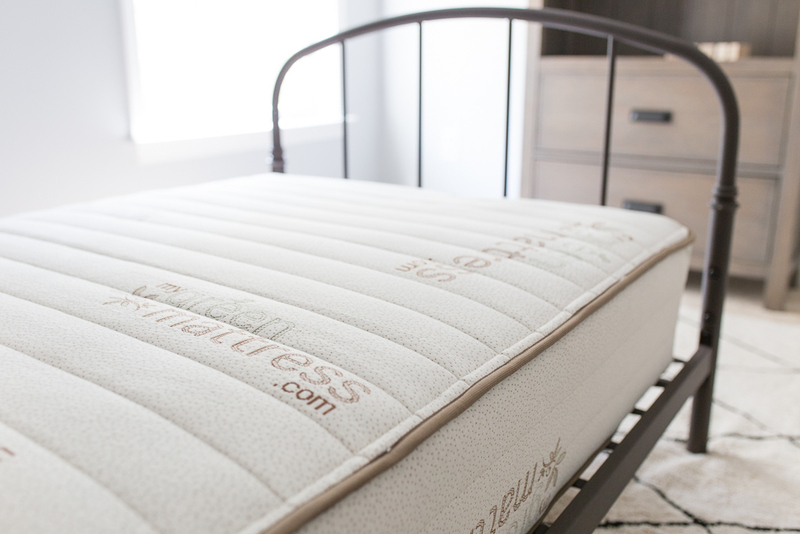 I'm so happy to say Rowan's all-natural Pure Echo mattress is about as perfect as you can get! Coming from someone who loves a plush bed, I find his bed to be very comfortable despite being on the firmer side. It makes me excited to actually read bedtime stories in bed - instead of squeezing my pregnant booty next to him on the rocking chair! I will say the mattress did have a bit of a sheep-like smell when we first opened it from its packaging. We let it air out in the bedroom with a fan on for about a week and I can hardly notice a smell at this point unless I put my face right up to it and take in a really deep breath. Totally worth it in my opinion to have something free of chemicals and flame retardants! My other two must haves for a toddler bedroom? Fun bedding.... check! And some kind of bed rail if you've got a ninja toddler like we do. We got one of these and plan to push the bed against the wall until he stops moving around so much in his sleep. 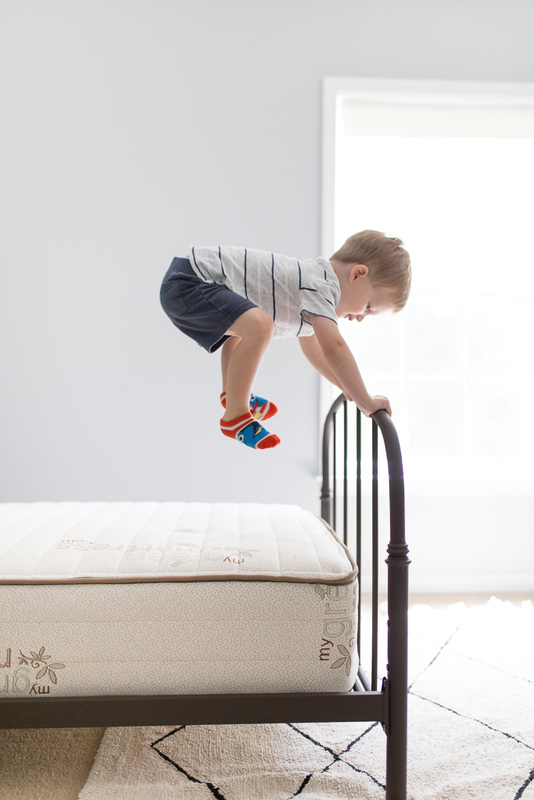 Mamas- what else helped you make the transition to big kid bed? Send me all of your tips! 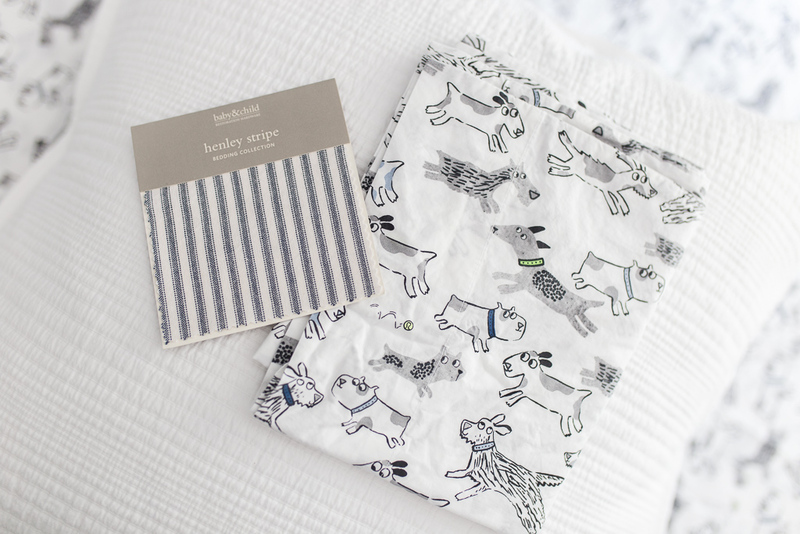 Those dog sheets, what a great find! I just ordered them. I've got a two year old and a second one coming in 8 weeks. not quite brave enough to get rid of the crib, but hopefully by spring! Those dog sheets!!! SO cute! Thinking of you guys on hurricane watch-- stay safe! I want that mattress for my bed! It sounds amazing!